A fancy shape spin-off of their round counterpart, oval cut diamonds provide extended sparkle in engagement rings and fine jewelry. A slightly elongated version of the round cut, the oval cut diamond elegantly accentuates the length of the wearer’s finger. The average 1 carat oval diamond has 10% more surface area than a round diamond of the same weight, giving you more bang for your buck. Oval cut diamonds lack sharp angles, which makes them less susceptible to chipping than other more geometric shapes. Who Rocks Oval Diamond Engagement Rings? As if they didn’t shine brightly enough on their own, Blake Lively, Amber Rose, Jennifer Aniston, and Serena Williams all don oval diamond engagement rings. A glam grand slam! Oval diamond engagement rings are an all-around great choice, perfect for those who want a combo of the round cut diamond’s sparkle and the pear cut diamond’s unique grace. When choosing an oval cut diamond engagement ring, know that oval cut diamonds feature the “bow tie effect”: like other fancy shape diamonds, there is a space in the center of each oval cut diamond that does not reflect light. The better cut the oval diamond, the smaller the bow tie effect. Other important considerations for oval cut diamonds: each stone has a varying length-to-width ratio, and either has round or flat shoulders (corners of the oval can be rounded or sloped). Longer or wider oval cut diamonds? Round or flat shoulders? Longer oval cut diamonds with flat shoulders are usually considered more elegant while more wider oval cut diamonds with rounded shoulders give less of a bow tie. Of course, personal taste always plays a part in the decision too! Time to start oval! 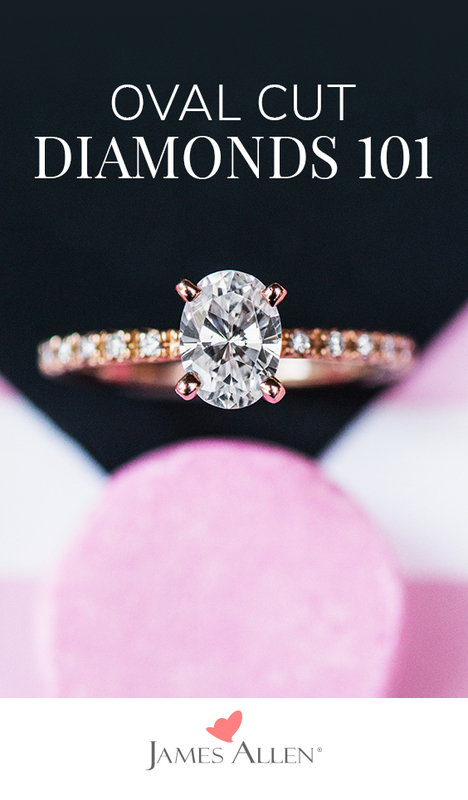 Find your oval cut diamond engagement ring. 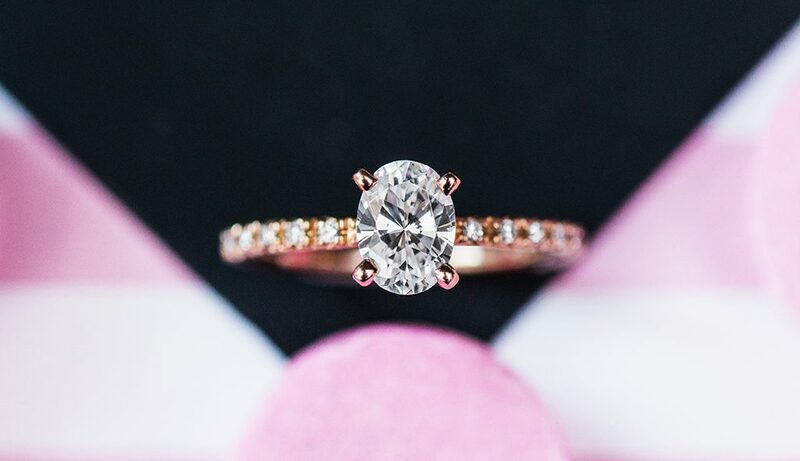 Can’t get over these oval engagement rings? Let us know in the comments below, or on our social channels: Instagram, Facebook, Snapchat, or Twitter.